Sodium molybdate is a chemically altered form of the mineral element, sodium. 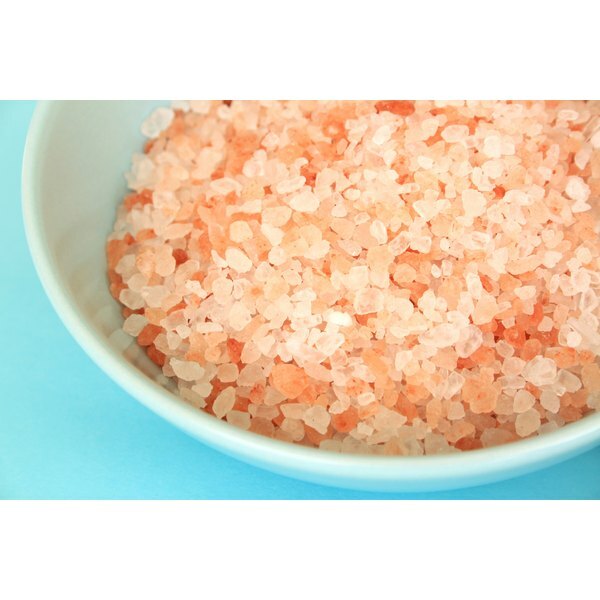 Sodium is a natural salt, and sodium molybdate is used in the food industry as a fertilizer and nutritional supplement for health. Sodium molybdate use in food may have some benefits as well as some side effects. Talk to your doctor about sodium molybdate in foods to make sure consuming it will not cause any adverse effects. The agricultural industry uses large quantities of sodium molybdate as fertilizer, particularly on vegetables such as broccoli and cauliflower. It is also fed to some cattle to help treat copper deficiencies. As a result of its use on food products you consume, trace amounts of sodium molybdate may end up in the food supply. Sodium molybdate in your food can have a variety of effects on your body, although its complete effects are not fully understood. Sodium molybdate can help correct a sodium deficiency by adding extra sodium to your body; however, sodium molybdate is ingested in such small amounts its contribution to your overall sodium stores is probably negligible. Once in your body, the molybdenum molecule is cleaved off of the sodium molecule and can have positive effects on your health. According to Cancer.org, molybdenum can be used to treat rare metabolic diseases involving copper deficiencies. Molybdenum may also have antioxidant and anticancer properties, but not enough research is available to confirm these claims. Sodium molybdate intake can cause some side effects in humans. Too much molybdenum can cause symptoms of a copper deficiency, including fatigue, dizziness, the appearance of rashes, gout, low white blood-cell count and anemia, or low red blood-cell count. If you are pregnant or suffer from renal failure or liver disease, talk to your doctor about sodium molybdate intake because it may worsen the symptoms of your condition. According to Cancer.org, sodium molybdate is available as a nutritional supplement in capsule form and is typically found combined with other nutrients. Common doses of supplemental sodium molybdate are about 75 micrograms daily. There is no daily allowance or limit established for sodium molybdate, however. Do not use it as a nutritional supplement for health unless you are under the supervision of your physician or a health-care professional.